Emerald ECU Serial communications lead. Serial 9 pin rs232 communications lead for connecting a PC or Laptop to our ECU. 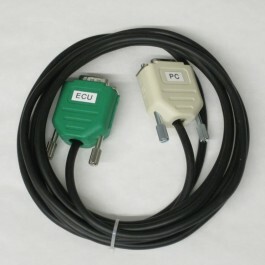 Please note that this is not a standard computer cable. It is made specifically for our Engine Management System (K6 ECU). It is also compatible with our earlier K3 ECU.